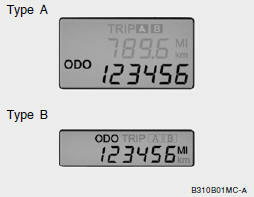 The odometer records the total driving distance in miles, and is useful for keeping a record for maintenance intervals. 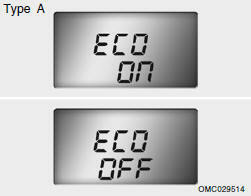 Federal law forbids alteration of the odometer of any vehicle with the intent to change the number of the odometer. The alteration may void your warranty coverage. 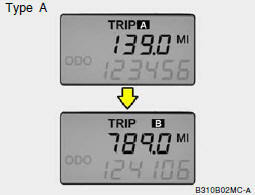 Trip odometer records the distance of 2 trips in miles. 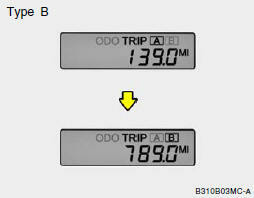 o TRIP A: Distance you have traveled from your origination point to a first destination. 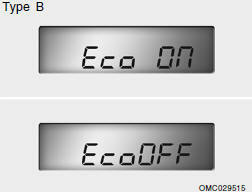 than 1 second in the ECO OFF mode and then ECO ON mode is displayed. 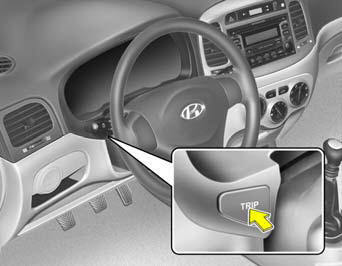 For more detailed explanations, refer to "Warnings and indicator lights" in section 1.